There’s a new webcomic to check out every day Monday to Friday! Imagine a hitman who’s job is to take out the lower level super heroes. No imagine him having gone through a messy divorce and, oh yes, he’s not very good at his job….! 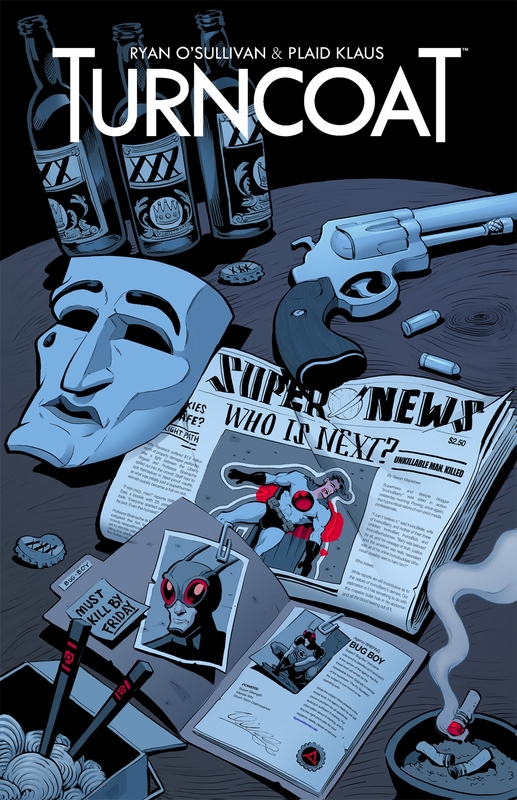 That’s Turncoat – with some excellent use of superhero tropes and some real cutting humour we get a good look at this universe. Now into it’s 6th issue, we are really getting to the meat of the story with our hitman discovering what he’s really up against! It’s a fun read and worth checking out now! In this whole cast of characters we get our hitman and his estranged family – none of which are particually likable, but something makes you root for them in their battle against the super heroes. We get hints as to why Duke hates them so much – it’s a weird reason, but a reason nevertheless! In support we have a team of people – not only his ex-wife, new boyfriend and son, but he also has handlers who pass on the jobs to him! With those come some henchmen, who are not very helpful – although I do like the bear! This is a mad manic story, with some dark humour, excellent visuals and a compeling story. It’s easy to get into and had me hooked! And if you like Turncoat? Click here to vote for us at Top Web Comics. In addition to this there is to be a Kickstarter for it – so keep your eyes peeled for that here! Hello and welcome to my first foray into digital comics. My name is Ryan O’Sullivan and I’m the writer of Turncoat. Yes they do, we write scripts and give them to the artists. My partner-in-(super)crime is Plaid Klaus, he draws it. Well…yes. Look. Shut up, imaginary capslock person. It’s about a guy called Duke who kills superheroes for a living. He’s really bad at it. We’ll be releasing a page a day, monday-through-friday. Nothing at weekends though, sorry. You should be able to read it on pretty much any device. Join the mailing list and I’ll keep you informed about the comic. It’s on the right hand side of this page. Other than the enjoyment of reading a fun story? Behind the scenes art and concept sketches by Klaus. Information about how we went about making the comics. Articles on how to write comics and how to market comics. (Once we figure out how to do it ourselves, haha.) As well as a whole host of other comic-related-goodies. Thank you imaginary capslock person. You’re not so bad yourself. I hate you imaginary capslock person.